Until a few years ago, I would have told you how much I hated corn tortillas. Those cardboard disks they sell in supermarkets, so bland, tasteless and rubbery were not my bag. I wondered, to myself, how anyone could pick those during the “corn or flour” debate. Really, corn? What am I missing? 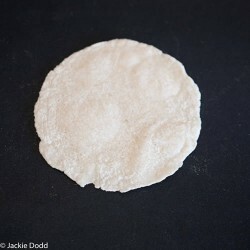 It turns out that homemade corn tortillas, with their seductive softness and slightly sweet flavor (don’t even get me started on the amazing smell) changed my taco-making life. Like the difference between baloney and Filet Mignon, homemade corn tortillas are an entirely different beast. 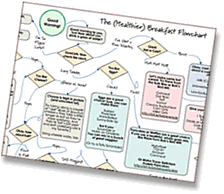 Once I made my own from scratch, I was shocked – shocked I tell you! – at how much I’d been missing out on. How is it that no one told me that it only takes a few minutes to throw these together and they are somewhere around a billion times better than the crap in stores? Seriously friends, what the hell? Like the revelation of discovering how insanely brainless it is to make homemade whipped cream, I’ll never go back to store-bought. Plus, it’s about 3 cents per tortilla, gluten-free and vegan, making it a perfect choice for a large get together when who knows what kind of food aversion people will have. Look how accommodating you are, AND you make your own tortillas?! You need a few supplies, but don’t worry, you’ve got this. 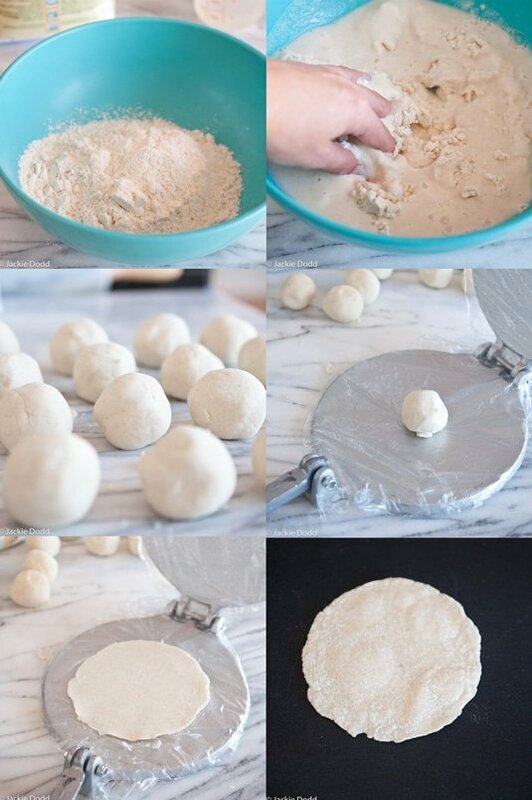 Tortillas press. You can buy one online, at Mexican markets or you can fashion your own. I have this aluminum one, and my Mexican friends tend to prefer this wood one. 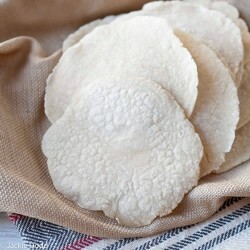 Masa, also called Masa Harina, which most stores sell in the “ethnic foods” aisle, or you can buy online. Water, salt and a bowl. Griddle or cast iron skillet. That’s it. Not too bad, right? 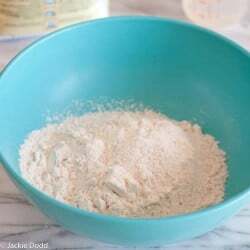 In a large bowl, add the Masa and the salt, stir to combine. Add the water and stir to combine. 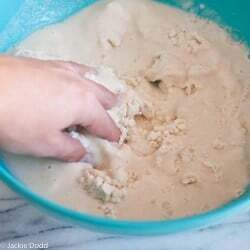 If the dough is too dry to hold together, add additional water. If it is too wet, add more Masa. Form into balls a bit larger than golf balls. 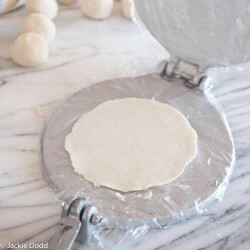 Prepare a tortillas press by wrapping in plastic wrap or covering with parchment paper. Place one ball in the center. Press, rotate and press again until thin. Heat a griddle (or cast iron skillet) to a medium high heat (about 350 for electric griddles). Cook until slightly brown on the bottom (about 30 seconds to a minute) flip and cook on the other side. Don’t overcook. Serve warm, impress your friends. There really is no going back after making your own corn tortillas. I never got around to buying a tortilla press though. I just line my counter with wax paper, space out the balls of masa, put another sheet of wax paper over them, and smash them with a flat bottomed casserole dish. That’s it? I thought it would be much more difficult. I am definitely going to have to try these. 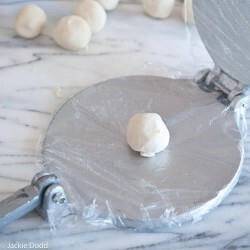 I use my rolling pin and a gallon-sized plastic freezer bag cut open. The thicker plastic peels off better, I think. 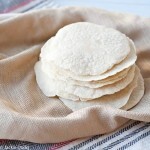 Homemade tortillas are soooo much better! 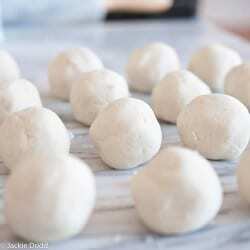 I can’t wait to try and make these! This is such a great idea and looks super easy. Why have I never even considered it before? ?